Kids Eat Smart Foundation knows that safety is extremely important when handling food and aims to educate volunteers in food safety practices. If food is not safe it can cause people to become very sick. Food Safety is the practice of proper handling and storage of food to prevent food borne illness. Food borne Illness is sickness caused by eating foods that are in some way contaminated. There are many things you need to do to ensure food is safe to eat. Keeping food safe while in the kitchen is key to keeping our families safe from food borne illness. Spring break is just upon us and for many families that means road trips! Road trips to the family cabin or to go and see Nanny and Poppy around the bay for Easter Break are traditions for many families in Newfoundland and Labrador. But the long drives, full as they are of inventive games and good conversation (or these days perhaps IPods and DS systems) are more often than not excuses to mindlessly graze on all manner of snacks and treats full of sugar and salt and fat. If we take some time to think about our snacks and plan ahead we can pack ourselves a nice selection of healthy treats. When preparing ahead we can be sure to avoid that common hungry walk through the candy and chip aisle in the gas station while stopping for that pee break or stretching our legs, and have our healthier treats packed in the car to keep those bellies full! Of these snacks, only the celery and eggs require any kind of preparation, and there are many others that make fine, easy snacks. It’s also a good idea to pack extras of these healthy snacks for the whole trip. Sometimes when we are on vacations we tend to go for more sweets and treats as we sometimes adapt to the eating habits of our gracious hosts. Having these on hand to snack on throughout the day can help us keep a better handle on what we are eating throughout the day! Click here to watch Amanda Burton, a registered dietitian in St. John’s, talk about the differences between a nutritionist and a dietitian. Once a year, a special day is dedicated to all dietitians across Canada. It celebrates dietitians as health care professionals, committed to using their specialized knowledge and skills in food and nutrition to improve the health of Canadians. Today, March 20, 2013 marks the fourth anniversary of Dietitians Day. It spotlights the profession and reminds us that dietitians are the smart choice for advice on proper eating, good nutrition and healthy living. Usually the room goes pretty quiet and I get a few whispers and mumbles about healthy eating and working in hospitals. This is certainly a good place to start as to the many things dietitians do in the work force but there is oh so much more! Dietitians are one of a kind; they have the distinct ability to translate the complex science of nutrition into practical solutions for you on healthy eating and disease prevention and treatment. Dietitians are uniquely trained to advise you on food, healthy eating and nutrition. They have a degree in food and nutrition, from an accredited university. To become a Registered Dietitian an undergraduate degree is required along with an accredited internship program. I completed my Bachelor of Science at Memorial University here in St. John’s and continued with an Integrated Internship program at Mount Saint Vincent in Halifax, Nova Scotia. Dietitians must be members of a provincial regulatory body in order to practice. This ensures the public that they are receiving nutrition advice from a qualified professional. Dietitians work where you live, work and play – in health departments, hospitals, health and wellness centres, food companies, universities, and recently I learned dietitians were on staff for the menu development of the International Space Station – very cool! As consumers we can sometimes get overwhelmed with nutrition information – it’s sometimes hard to tell what to believe and not to believe. For good reason, when it comes to food and nutrition advice, Canadians trust dietitians most. To find a dietitian in your area, visit www.dietitians.ca/find. Also, you can click here to watch a short video from Dietitians of Canada featuring local dietitian Amanda Burton speaking a little bit about the differences between a dietitian and a nutritionist. admin http://www.kidseatsmart.ca/wp-content/uploads/2018/07/KidsEatSmartColour_Logo_340x156-300x138.png admin2013-03-20 09:09:062013-03-20 09:09:06Celebrating Dietitian’s Day! Elderly parent? Picky toddler? Newly declared vegetarian teen? Food allergy? When shopping for family members with different health needs or preferences, it helps to plan ahead. Plan menus and grocery lists together. Include food options that everyone can enjoy. Look at cookbooks, magazines or websites for meal ideas that meet your needs. At the grocery store, read food labels carefully to look for ingredients you need to avoid. When checking food labels, look at the % Daily Value on the Nutrition Facts table. Choose foods with more of the nutrients you want and less of the nutrients you don’t. Check if your grocery store offers tours led by a Registered Dietitian. Try a “do-it-yourself” meal, such as fajitas, tacos, sandwiches or salads. Just put all the healthy ingredients on the table and let everyone assemble their favourite combo. The key to making tacos that everyone in your family will enjoy is picking ingredients that they already like and letting everyone assemble their taco themselves. You can buy the corn tortilla shells at the grocery store or find a recipe to make your own at home. In a jar with a tight fitting lid, combine chili powder, paprika, cumin, onion powder, garlic powder, cayenne pepper and cornstarch. Close lid securely, and shake well to mix contents. 7 teaspoons is equivalent to 1 (1.25 ounce) package of taco seasoning. Rice, Beans- black, kidney, garbonzo, etc. Avacado guacamole, chick pea hummus, yogurt tzatziki, tomato salsa, hot sauce, shredded cheese etc. Wishing you continued good luck during Nutrition Month in putting your Best Food Forward: Plan Shop Cook Enjoy! I know that fresh vegetables and fruit are not always available or affordable. Canned and frozen foods can be healthy too. Be sure to keep an eye out for lower sodium items and opt to pick items packed in water rather than in syrup or juices. Plus, when they are on special, it’s a great time get stocked! A well-equipped pantry makes cooking a nutritious, delicious meal easy, any day. Having items on hand is key to creating healthy meals in a hurry! When buying packaged foods, try to choose nutrient-rich ones that offer more vitamins, minerals and fibre, and contain less sodium, fat and sugar. Look for canned foods, such as beans, tomatoes or fish, without added salt. Tomatoes – whole, diced or crushed, in cans. These make a beautiful base for a simple pasta sauce, soup or casserole. Fruit – dried, jarred or canned. Try adding a scoop of mashed canned pears to pancakes, muffins or smoothies. Legumes – including canned or dried peas, beans and lentils. These protein-rich plant foods make satisfying soups, stews and chilies that are deliciously nutritious. Fish – such as canned salmon and light tuna packed in water. These make tasty, protein-packed sandwiches, and they’re healthy additions to casseroles and pasta dishes. Whole grains – such as quinoa, parboiled brown rice or oats. Keep a variety of whole grains on hand for a nutrient-rich side dish or main meal. Bonus items! Flavour boosters such as fresh garlic, spices, flavoured vinegars and reduced-sodium broths liven up cooking without lots of extra salt or fat. In large saucepan, heat oil over medium-high. Add onion, cook and stir until tender. Add beans, tomatoes, oregano and garlic powder. Bring to a boil; stir in rice. Cover; reduce heat and simmer 5 minutes. Remove from heat; let stand 5 minutes before serving. Wishing you continued good luck in putting your Best Food Forward: Plan Shop Cook Enjoy! Prepare more meals from scratch with good-for-you ingredients. Healthy eating doesn’t have to be complicated; nutritious convenience foods, such as frozen fruit, ready-to-go salads and pre-chopped vegetables, offer simple shortcuts. Cooking from scratch allows you to control exactly what and how much of an ingredient you include in your family meals. If sodium is a concern, choose low sodium ingredients and add only small amounts while cooking. This can drastically cut down on sodium levels in your meals. If a lack of veggies are a concern, amp up traditional recipes with a variety of veggies, either frozen or fresh. You can add them to your chili, spaghetti sauce, lasagna, shepherd’s pie, stir fry and/or side dishes . For meaty entrees, double up on the veggie ingredients the recipe is calling for and halve the meat. Keep it simple. Buy one main ingredient. Make multiple meals. I usually like to purchase ground meats in bulk and prepare it in a variety of ways. If I purchase ground beef or chicken, for example, cooking it in bulk can allow me to make spaghetti, tacos, shepherd’s pie and chili, all in one week! Get fresh! Fill your cart with more fresh foods, like veggies, yogurt or fish, to cook from scratch. Skip packaged meals. Cooking simple meals is an easy way to save money on your grocery bill. Pre-packaged frozen meals are usually packed with sodium and low in nutrients. Cook n’ share! Prepare big batches on weekends and swap meals with friends. Make cooking fun and include your kids in the kitchen to help out with portioning, stirring or dumping ingredients in the pot! 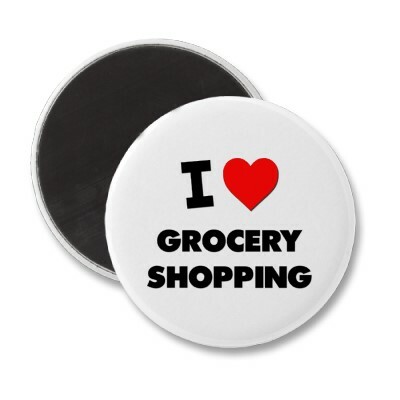 Remember cooking at home can be fun if we plan ahead and shop smartly! When it comes to grocery shopping, many of us view it as a rather dreary chore. What with reading labels, checking prices and comparing products, supermarkets can be an overwhelming place for those trying to stick to the plan! You can learn to love (or least not loath) grocery shopping by remembering to not shop on an empty stomach and to stick primarily to the perimeters of the supermarket. The perimeter of the store is where you will usually find the fresh whole foods we need to make up a healthy balanced menu plan for the week. Do take some time to read food labels and compare products so you can choose the most nutrient-rich foods in every aisle of the store. Fill your cart with vegetables, fruit, whole grains, milk products, lean fresh meat and meat alternatives such as legumes. Try to skip the processed foods that are convenient, but are often filled with fat, sugar or salt and are low in nutrients. 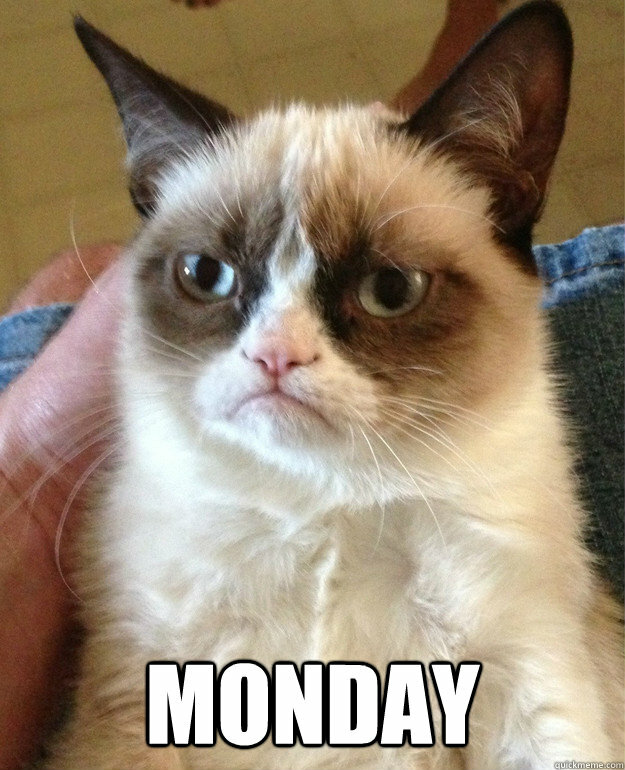 Errr…..another Monday! I barely got myself out the door this morning, let alone prepped anything for supper tonight…. Just in case anyone else is in the same boat, I’ll share one of my favourite quick weeknight fixes for my family – it is easy to prepare and gets even easier when you enlist the kids to help tear, chop and toss! Cool and cut into strips. In a bowl, toss lettuce with chicken, cucumber and cheese. To serve, top with salsa, tomato, green onions, dressing and crushed tortilla chips. How much is enough fruits and veggies for my child? 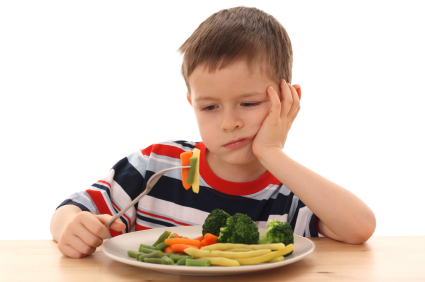 How can I get more fruits and veggies in my child’s diet? These are among the most common questions I get asked from moms. Most often I’ll encourage moms to try different fruits and veggies at every meal with their kids and try them in a variety of ways. Have a look at Canada’s Food Guide, which can provide nutritional information for your child’s age group and recommended servings per day. As for getting more in the diet, it’s important to include a wide variety of fruits and veggies for kids and with each meal/snack. It can sometimes feel overwhelming to get the recommended servings in the diet so start by including a fruit or vegetable with each meal and snack. Don’t forget that it’s important to try and try again when it comes to getting kids to try new foods, especially vegetables – sometimes he/she may need to be offered a food 20 times or more before he/she learns to enjoy. Plate method. Fill half of their plate with fruits and veggies at every meal and snack. Pump up the veggies. Add extra fruits and vegetables to dishes, even if they already contain/call for them in the recipe. Substitute. Substitute fruits and veggies in any meal – they’re lower in calories than many other foods. Stock Up. Always stock frozen and canned fruits and veggies for quick meal prep. Try to choose canned fruit and vegetables without added sugar, syrup, cream sauces or other ingredients that add unnecessary calories. Steam & Flavour. Steamed vegetables make great sides. Add flavour with low-calorie or low-fat dressings, herbs and spices. Garlic is one of my favourites! And remember – if at first you don’t succeed, just try and try again!